On Sunday June 21, a fiery two-car crash in Northridge left 19-year-old Desirae Crystal Crittenden dead at the scene, according to a news report at KTLA 5. She was a student at CSUN (California State University Northridge). The accident took place at approximately 3:30 a.m. in an intersection at Lindley Avenue and Roscoe Blvd. when a Honda Civic slammed into a red Ford Mustang, striking the driver’s side door with tremendous impact, according to LAPD Detective William Bustos. A desk officer said that in all, two males and three females were injured in the crash, with Crittenden pronounced dead shortly after the accident. Those involved in the accident were between the ages of 18 and 21, although their names have not been released by authorities. Another passenger who was injured in the crash was not expected to survive at the time of news reports, and was listed in critical condition at an area hospital. The name of the suspected DUI driver has not been released, however the article did say the driver of the Honda is 21 years old and while hospitalized in stable condition, has been arrested and charged on suspicion of DUI. The suspected offender was given a sobriety test at the scene of the crash, which officials believe was the result of drugs and/or alcohol. Driving under the influence is a serious criminal offense, although many people don’t think of DUI as a crime. In most states, including Michigan, those convicted of drunken driving face serious penalties which often include jail time, fines, probation, driver’s license suspension, community service, a criminal record, and more. 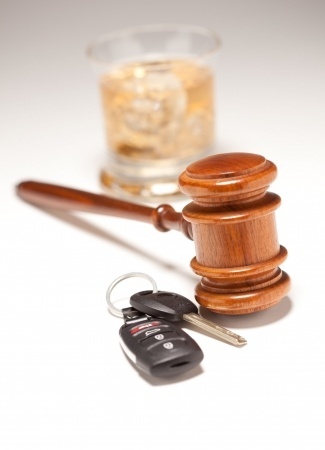 In cases such as the above where someone is killed due to DUI, the penalties become far more severe. In Michigan, DUI causing death may result in up to 15 years in prison along with fines of up to $10,000, restitution, vehicle immobilization/forfeiture, and other punishment. Whether you have been arrested for driving under the influence for the first time, or are a repeat offender or have caused a serious accident while under the influence of alcohol or drugs, you must have an experienced and capable Michigan DUI attorney in your corner. Your legal rights must be protected; your defense lawyer will work with you to mitigate the damage, and secure the best possible result in your case.